Jagannath University is a government financed public university founded on 2005 which is situated at Dhaka. 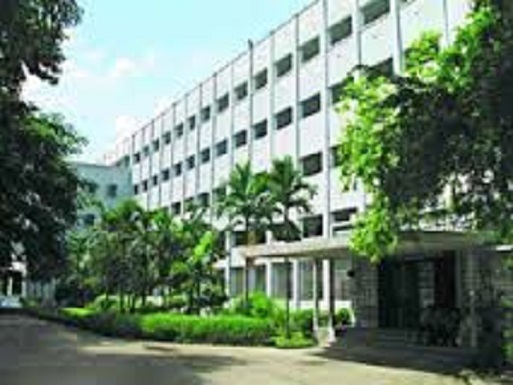 This university is one of the top ranked universities in Bangladesh and also ranked worldwide. It has seven faculties and 33 departments. But, to know the details read the article below. Here, we have also discussed the admission requirements and process. Jagannath University is one of the top class public universities in Bangladesh. The location of this university is in Sadarghat, Dhaka the capital of Bangladesh. It is a government-financed university. This university was established on 2005. The nickname of this university is JnU. It is providing appropriate education since its establishment. And, the motto of this University is Education, Faith, and Discipline. Now, the president Abdul Hamid is the present Chancellor, and Professor Dr. MijanurRahman is the Vice-Chancellor of this University. Jagannath University is widely famous university in Bangladesh. In every year thousands of student comes to study here. And, this university has highly qualified teachers. The total number of academic staffs is 507, and administrative staff is 950. And, the total number of students is 20,000. The official website address of JnU is www.jnu.ac.bd. Jagannath University has seven faculties and under those faculties, it has 33 departments. Now, those faculties are given below. 1. Faculty of Business Studies. 2. Faculty of Life and Earth Sciences. 6. Faculty of Social Science. 7. Faculty of Fine Arts. The Jagannath University is a good ranking university. It has not only ranked in Bangladesh but also has ranked in worldwide. In 2011-2012, this university had placed its name into the top world universities. This university had placed 2204 out of 30,000 universities in the world. To admit in the Jagannath University, the students need to apply there first. After applying there, they must participate in the admission test. But, for applying there, the students must have some required marks in the SSC and HSC exam. This University admits all students under five units. And, those units are A, B, C, D, and E. The students will need CGPA 8.00 to get admission on A, B, C, and D unit. But, for E unit they will only need CGPA 6.5. The Jagannath University has total 2765 seats for students. Among those, the A unit has 825 seats, B unit has 770 seats, C unit has 560 seats, D unit has 590 seats, and E unit has 120 seats. This university has great facilities for all students and teachers. It has a mosque for prayer, separate hostel facilities for male and female, and medical facility. Their library is big, and it fills with lots of books. And, the library of this university has many journals, publications, and newspapers. In short, we can say this university is providing a standard education in Bangladesh. We hope you have found much information. And, visit our website for more information about Jagannath University.